The sports economic impact in the Super Region results in billions of dollars. That’s quite a score. At the beginning of 2014, the Tampa Bay community is rallying around the Rays—a team that in six short years has gone from American League cellar dweller to perennial contender—to ensure they do not suffer the same fate as New York City that historic year. One thing Tampa Bay leaders have going for them is a mound of data, unavailable 57 years ago, that shows a clear link between sports, recreation and economic development. Today’s sporting events boast incredible economic impact numbers. From the professional level to college, high school and grade school participants, male and female athletes are playing games that spur revenue for their communities, cities and ultimately their state. While Florida is synonymous with tourism, given the climate and the growth potential, sports is making its move. It’s big business, and community and political leaders know it. John Webb, president of the Tallahassee-based Florida Sports Foundation, says the connection is undeniable. According to the foundation, sports in Florida has grown from a $16 billion industry in 1999 to an estimated $36 billion industry today that employs more than 430,000 people. Webb said the foundation soon will unveil a report that examines sports’ economic impact in depth, an impact he expects will be 20 percent greater than when the foundation commissioned the last report in 2005. That report found sports and recreation activities in Florida had a total economic impact of $32 billion, including $12.9 billion annually to workers, $20 billion in the Gross State Product and another $2.1 billion in tax revenues to state and local governments. This type of economic development data is one of the reasons communities are willing to invest taxpayer dollars to help fund venues for professional and amateur sports facilities. The Rays are a case in point, and there are similarities between their situation today and that of the old Brooklyn Dodgers. In 1957, the Dodgers were coming off their second- consecutive National League pennant and their fourth in six years (ironically, the Giants had won the other two in that span). The Dodgers were just two years removed from winning their first World Series, and the team was the class of the National League. Yet, they were struggling to draw fans to venerable Ebbets Field, and they were mired in a dispute with the city over a new stadium. Today, the Rays have been among the most consistent teams in the American League for the last six seasons, making the playoffs four times (same as the New York Yankees in that time span) and the World Series once (also same as the Yankees). 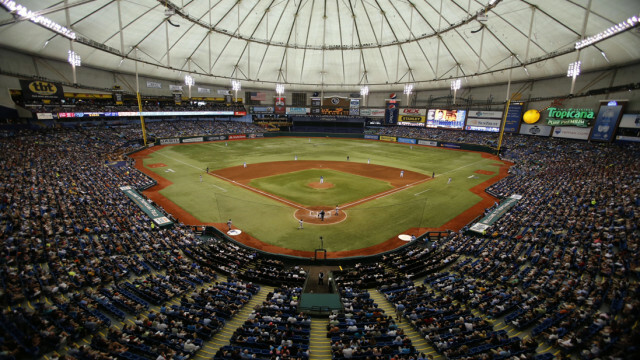 Yet, the team is having trouble drawing fans to Tropicana Field, built in St. Petersburg in 1990 for $130 million. 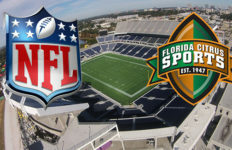 Pinning down the exact reason for the attendance woes is elusive, because the National Football League Buccaneers and the National Hockey League Lightning have been consistent draws in Tampa Bay through good times and bad. One option, the team, city and economic development leaders are considering is moving the Rays out of “The Trop” before its lease expires. There have been some discussions between St. Petersburg officials and the team about the possibility of ending the lease, but all key players in the Tampa Bay area have made clear that parochial concerns are secondary to the common goal of finding the right home for the Rays. Outgoing St. Petersburg Mayor Bill Foster preached regional cooperation in an interview this summer with the Tampa Bay Times: “If your goal is keeping the Tampa Bay Rays in Tampa Bay until 2050, then you have to let them look in Tampa.” Incoming Mayor Rick Kriseman also has described the Rays’ situation as among the most pressing his administration will face. Webb and the Florida Sports Foundation are staying away from the specifics of the search—except to make sure that all interested parties understand Florida can support the Rays. Webb worries that excessive focus on the Rays, or the NFL Jaguars’ woes in Jacksonville, distract from the enormous sports successes in the state, many of them occurring far away from the glitzy arenas of major professional team sports. For example, Florida enjoys 44 percent of all golf destination travel in the U.S.
Florida has the most golf courses in the country. Estimated economic impact: $20 billion for the state. 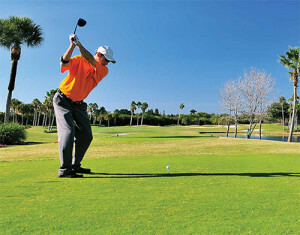 In 2005, the state sports commission’s study indicated that recreational golf and golf courses in Florida had a total economic output of $16.8 billion, employed more than 200,000 people, provided a payroll of $6.1 billion, and generated another $1.1 billion in state and local government revenue. Add to that total another $5.6 billion in local parks and recreation activities plus fishing, hunting and wildlife-associated recreation. Now imagine that 20-percent increase in economic impact that Webb believes has occurred in the past eight years. The foundation’s work, in fact, focuses as much on these “smaller” sporting events as it does major college and professional sports. 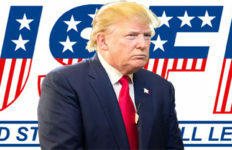 They aggressively pursue events at all levels that range from Super Bowls to AAU regional basketball tournaments and swimming. Those 25 commissions hosted about 3,300 events in 2012. A Super Bowl may be the glamour event in the sports world—and Florida has hosted 15—but Webb says less high- profile events pack a major economic punch as well. A prime example, according to Webb, is the 2017 World Rowing Championships, scheduled for Sarasota. 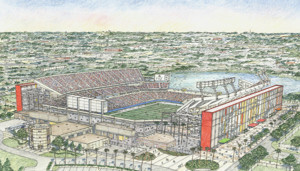 A rendering of the planned $205 million upgrade to the Orlando Citrus Bowl stadium illustrates new grandeur. The emphasis on sports and sporting events at all levels obviously has been great for Florida’s economy, but everyone involved in the intersection of sports and economic development is aware the proliferation of events means increased competition for the public’s entertainment dollar. Webb points to the iconic Daytona 500. The owners of the Daytona International Speedway have responded with a $400 million renovation started earlier in 2013, cleverly dubbed “Daytona Rising,” enabling it to seek out other events. Speedway President Joie Chitwood was quoted recently in the Orlando Sentinel as saying a college football game could be played there within the next three years. If Daytona wants to be first, though, it had better hurry. The Bristol Motor Speedway in Virginia already is set to host a Virginia Tech-Tennessee game in early September 2016. That’s a big part of why civic and economic development leaders place such emphasis on up-to-date, strategically placed, versatile venues. Other unique additions to the Super Region sports line-up include the “Frozen Four,” the NCAA ice hockey championships. 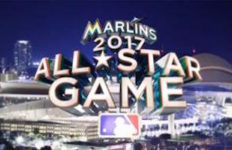 Tampa hosted it in 2012 and was just awarded the 2016 event. Dyer points to that success and says it might be a future option for Orlando, too. 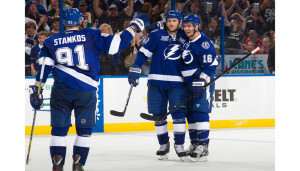 The Tampa Bay Lightning celebrate on the ice at the Tampa Bay Times. College football championships are nothing new to Florida, and neither are Super Bowls. But rowing championships in Sarasota? College hockey’s premier event becoming a Florida tradition? College football on the hallowed ground where Richard Petty once drove? The sports world is changing. It has become a multibillion- dollar economic development pie. Clearly, the Super Region is poised to grab its slice.